1 Scan or Photograph: Keep digital copies of important cards. File them by year, occasion, or filtered in your digital photo album. 2 Turn into A Book: Send your greetings to Cards for Keeps and they'll transform them into a bound book. If you're feeling crafty, you can try doing this yourself by following the blog Something Turquoise's DIY tutorial. 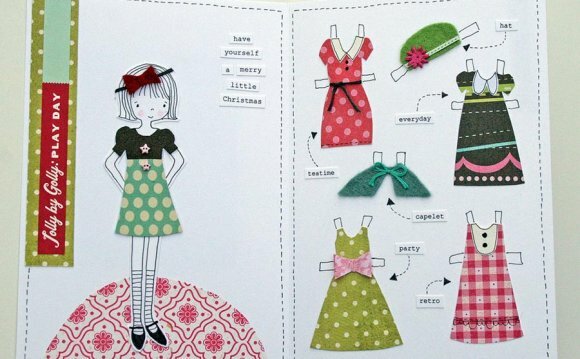 3 Reuse: I love well designed greeting cards. So much thought has gone into the design, so why not turn it into something else? As long as you're okay with losing the greeting part of the card, you could frame it, cut it up and use it for another project, make it into a gift tag, etc. The options are endless! 4 Turn into A New Card: Much in the same vein as above, a card does not need to be used just once. If it's a folded card, cut it in half and use the front as a postcard. 5 Donate to a Charity: Before you toss any unwanted cards, consider donating them. St. Jude's Ranch for Children will recycle used greeting cards and turn them into new holiday and greeting cards. You can also purchase their recycled cards to support their programs and services.